Whether you are planning a hen or stag party, a family excursion or a work event, Capital Cars’ minibus taxis are perfect for any occasion where you need to travel as a group. We know how stressful it can be organising transport for several people - our group travel service aims to make this process hassle-free. No more struggling to keep the group together or worrying about missing the bus or train, you can depend on us to get everyone there on time and in comfort. Our minibus taxis seat up to sixteen people and can pick up passengers all together or individually from various addresses – whichever option is most convenient for you. We maintain our vehicles to a high standard in order to make the journey comfortable and safe for our customers. What’s more, our group vehicles have plenty of room for luggage, we even provide a secure trailer for larger loads. There are many advantages of travelling as a group: it makes things easy, it’s fun and it’s environmentally friendly. Further, it’s an economical choice as the bill can be divided among the group. Combine this with our very affordable rates and you’ve got yourself an excellent deal! The group travel services we offer are popular with hen parties and stag dos, work events, airport transfers, family outings, shopping trips and lots more. Whatever your occasion happens to be, tell us your requirements and we will be happy to meet them. 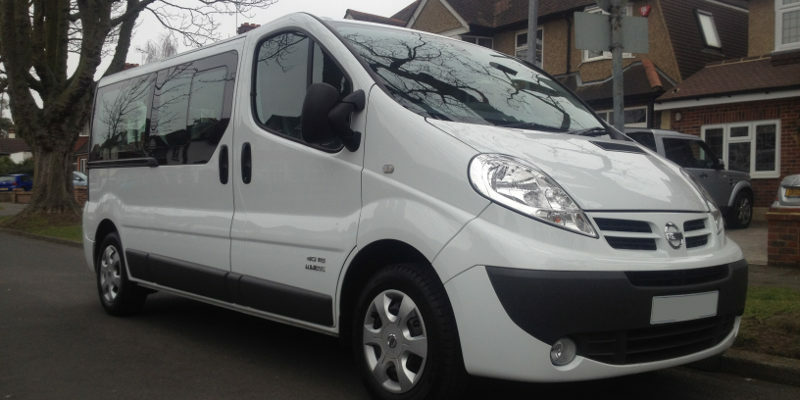 Hire minibus taxis with Capital Cars today. We look forward to meeting you and your fellow passengers!